You don’t necessarily have to be a feta cheese recipes lover to enjoy these incredibly delicious Placinte pastries. 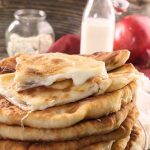 Stuffed with a combination of feta & mozzarella cheese (brinza), these stuffed flat cakes sure taste amazing for their not so appealing shape. 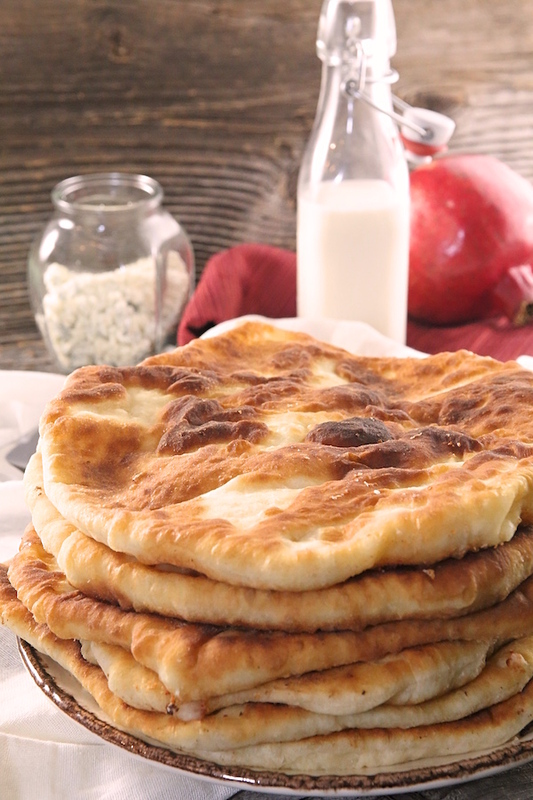 This Placinta recipe is pretty authentic as my mom got this recipe from a Moldavian lady, some time ago. These have been made so many times by my mother and have been our family favorite; (yes, they are that good!) Served best fresh off the skillet, but can easily be re-heated in a toaster oven for best results. I highly encourage you to try this dish to see what it’s all about. 1. 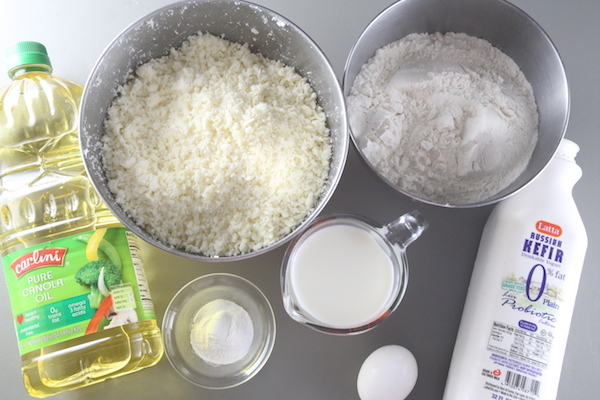 In a large bowl, whisk together 3 1/2 cups of flour, baking soda, baking powder and salt. Stir in the egg, buttermilk, milk and 3 tbsp of oil until dough comes together (dough should be tacky.) 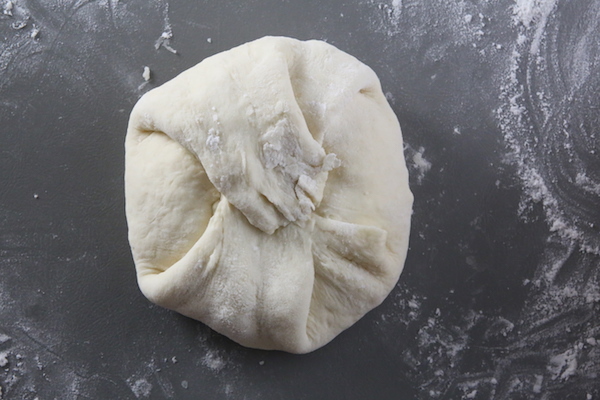 Knead in remaining 1/2 cup of flour until a soft dough forms. 2. 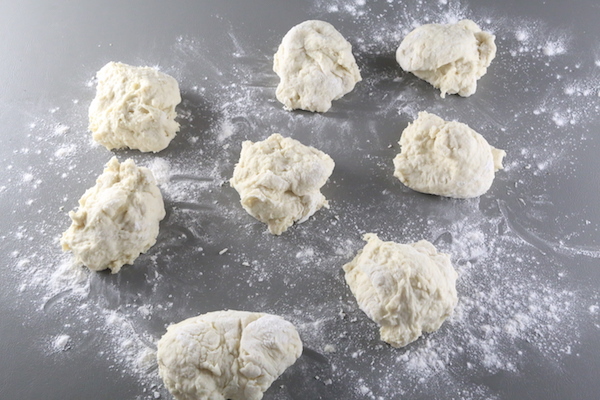 Divide the dough into 8 balls, using a 1/2 cup measuring scoop for even shapes. 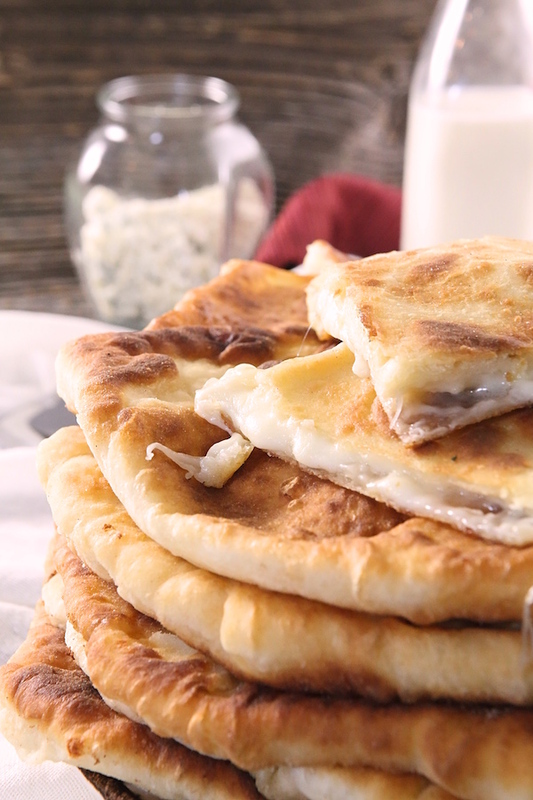 Tip: For a less saltier cheese taste, remove feta cheese from the brine and soak in milk for 24 hours. 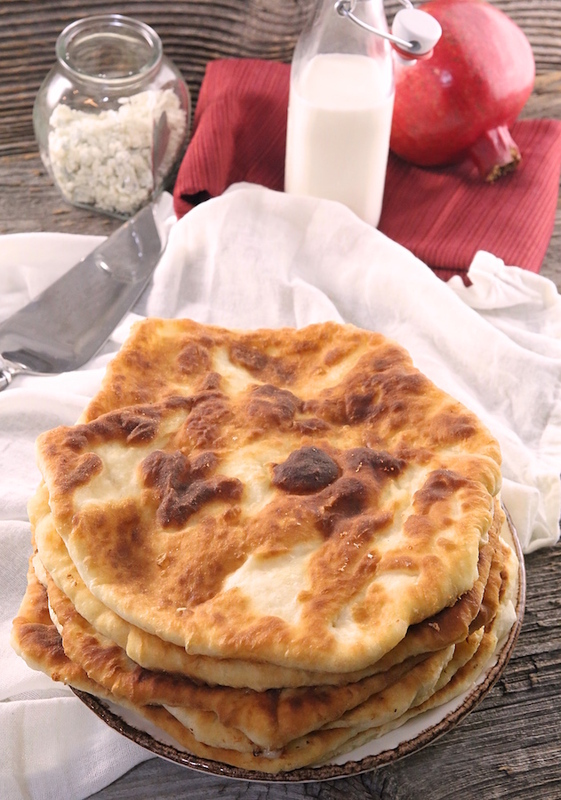 You don't necessarily have to be a feta cheese recipes lover to enjoy these incredibly delicious Placinte pastries. 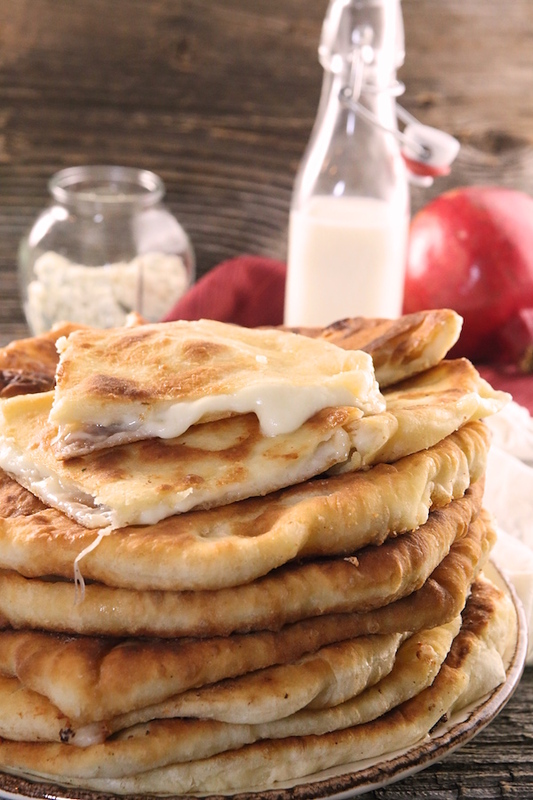 Stuffed with a combination of feta & mozzarella cheese (brinza), these stuffed flat cakes sure taste amazing for their not so appealing shape. 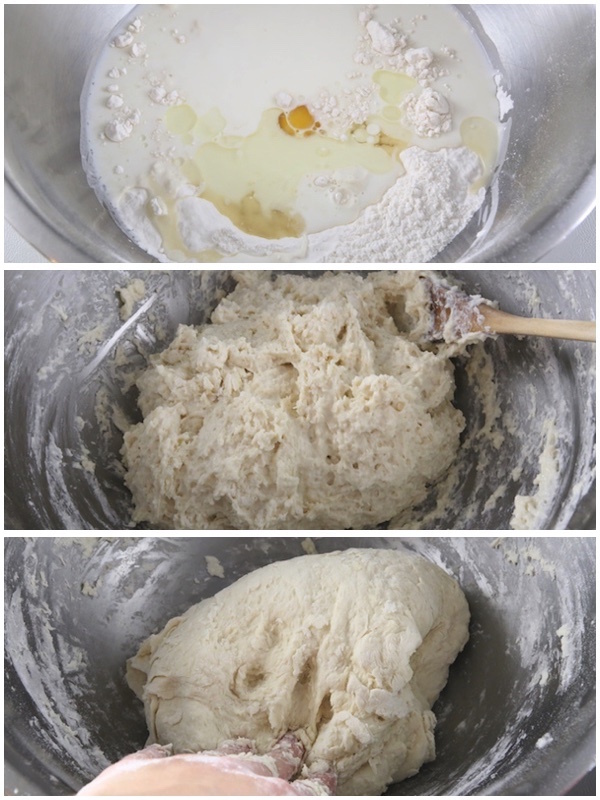 In a large bowl, whisk together 3 1/2 cups of flour, baking soda, baking powder and salt. Stir in the egg, buttermilk, milk and 3 tbsp of oil until dough comes together (dough should be tacky.) 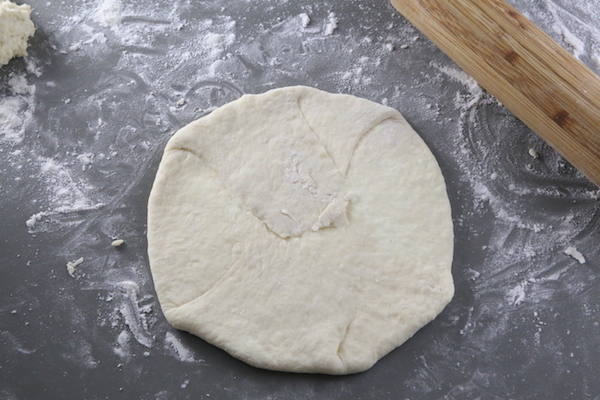 Knead in remaining 1/2 cup of flour until a soft dough forms. 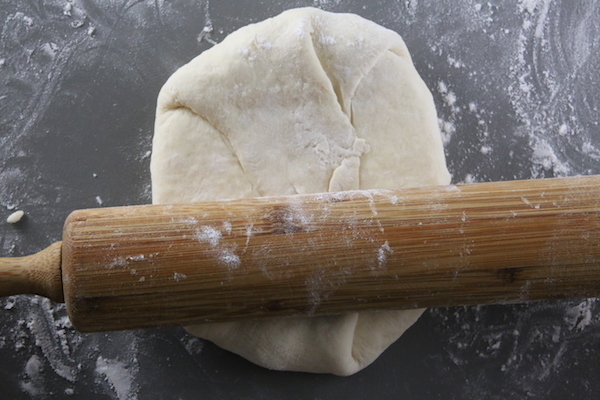 Divide the dough into 8 balls, using a 1/2 cup measuring scoop for even shapes. Hi, can I make this recipe the same way except bake them in the oven? Will they still turn out as great? If yes, should I use more oil? I’ve done this recipe before by stovetop, and I really loved them! The taste was amazing, but I want to try them in the oven this time. Not so sure how the oven will work for these. I definitely think oil is key to create a nice crust for placinte so even if you would use the oven try to use a good amount of oil (perhaps enough to coat the pan and top.) It’s good to know you really loved them! Just wanted to say that I love Moldova. I had the pleasure of spending almost a week in Chisinau last May, and I am looking to make a return visit to explore more. Lovely country, lovely people (and really fine wine). And the placinta is amazing. 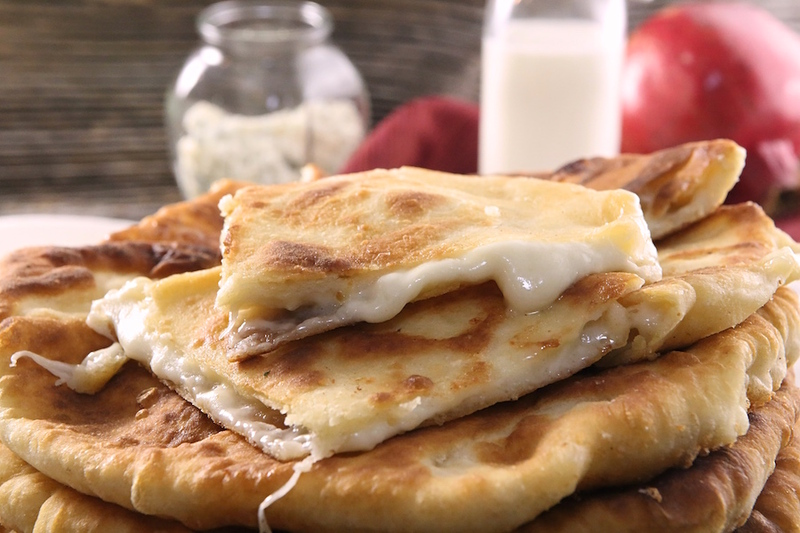 Is feta cheese the same as Brinza? I believe it is the name for feta cheese in Moldavian. Do you think it’s ok to make several batches and then freeze them? The purpose would be to defrost and fry as needed… wondering if you’ve tried it before? Liliya, I havn’t froze the brinza filled. But, Perhaps partially frying and then freezing would be a better idea and then re-heating in a toaster oven. 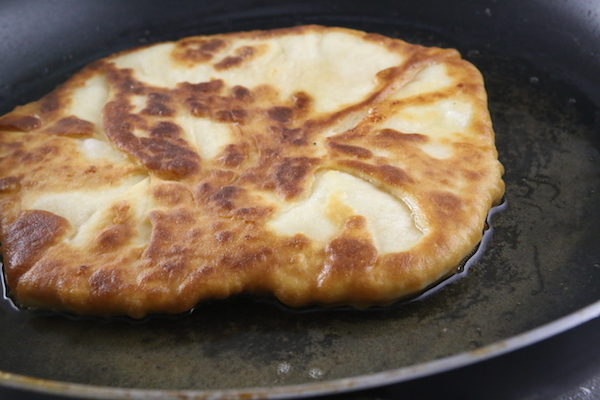 I’m not sure if it’s a good idea to fry thawed out dough, it’s best to avoid any possibility of sogginess or freezer burn. But that’s just my opinion if you have the urge try it out then let me know if it was a success. You could always refrigerate ready ones between wax paper if you don’t end up freezing any. Can I use homemade kefir instead of buttermilk? Is that the same thing? You can try homemade kefir/buttermilk but you may need to eyeball the consistency since some kefir’s tend to be thick and others runnier. Do you think I could make the dough a couple days ahead and refrigerate? 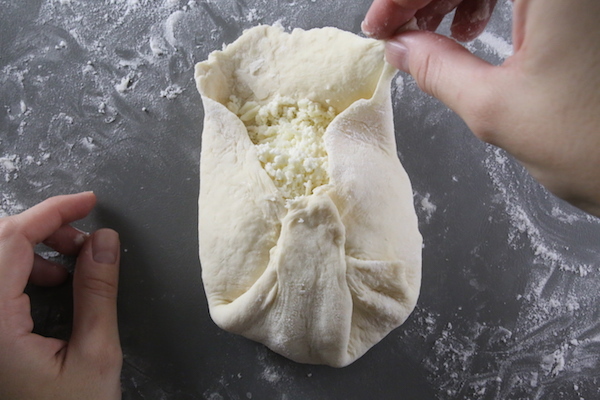 Yes, you can refrigerate the dough. 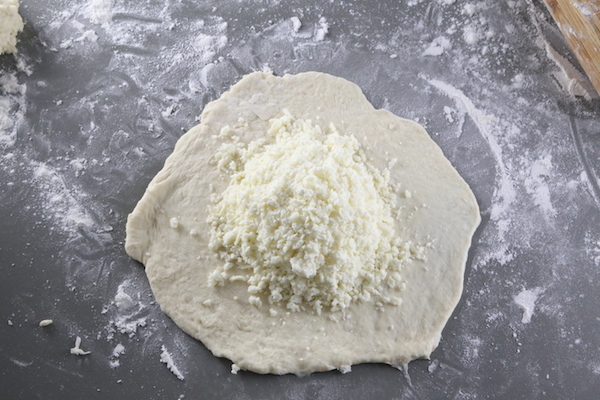 You can even try to fill and roll these out and keep them refrigerated between wax paper before frying if your cheese filling isn’t too wet. Comfort food!!! These turned out soft and delicious! They were gone quickly with tea and raspberry jam. Thank you for the recipe. oh nice, thank you for sharing Helen!